At Neon, we have the opportunity to work with thousands of nonprofits who do amazing work. But each month, we spotlight one of our clients doing something particularly exciting! This month, we’re honored to spotlight Wyoming Equality — a nonprofit working to unify and advocate for the LGBTQ community in Wyoming. We talked with them about their organization, the work they do, and their experience with Neon. Wyoming Equality seeks to enhance the lives of gay, bisexual, and transgender people in the equality state. 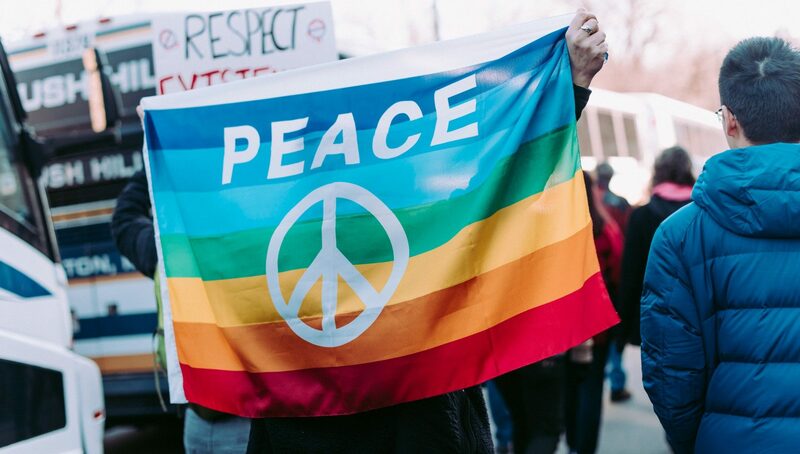 Wyoming Equality is committed to providing: education, information, activities, support, a networking system, and an advocacy system for people impacted by gender and sexual orientation issues. 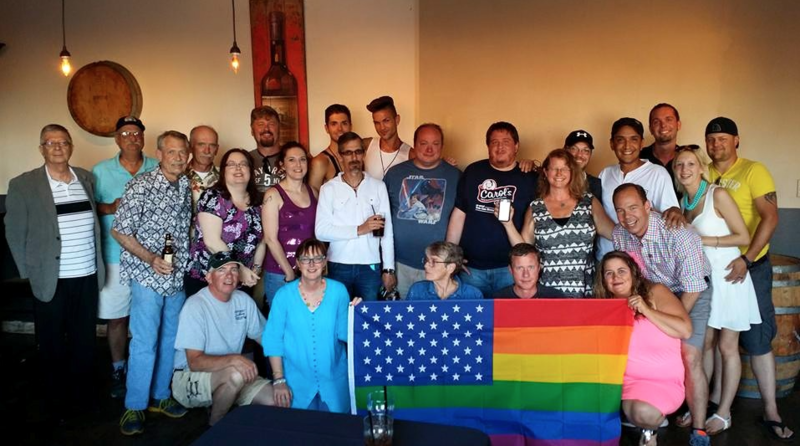 The group started in 1987, when a small group of gays and lesbians from the Cheyenne/Laramie went on a camping trip. That group eventually started Wyoming Equality. A year later, they started a quarterly newsletter — today, the organization has grown into a statewide initiative to unite and advocate for the LGBTQ community in Wyoming. With a small but mighty team, Wyoming Equality initially switched to Neon so they could cut back on costs and admin time. They leverage Neon’s technology to save staff time and focus on furthering their mission. With Neon, the team has to do less time-consuming tasks — like data entry, supporter tracking, receipting, and mail merging. 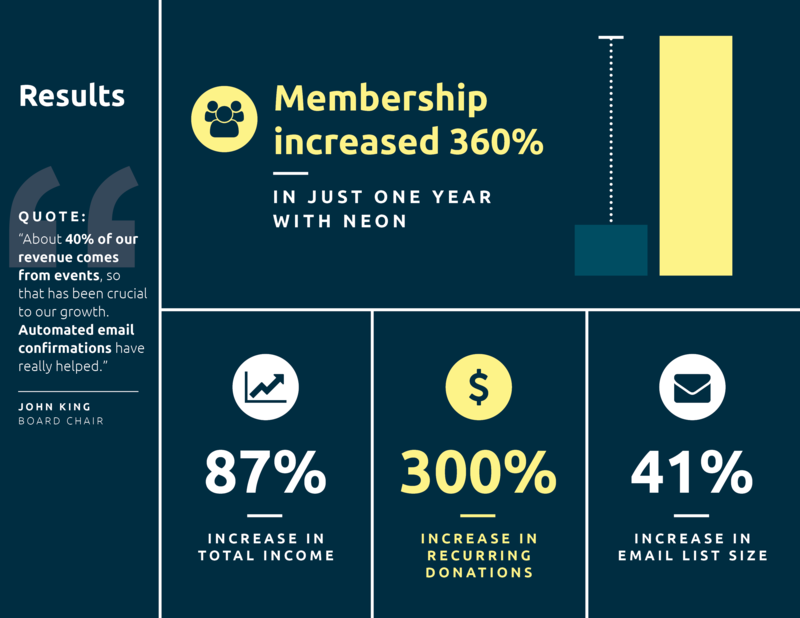 They’ve also been able to cut back on the number of platforms they use, since Neon can house their members, donors, communications, events, and more. 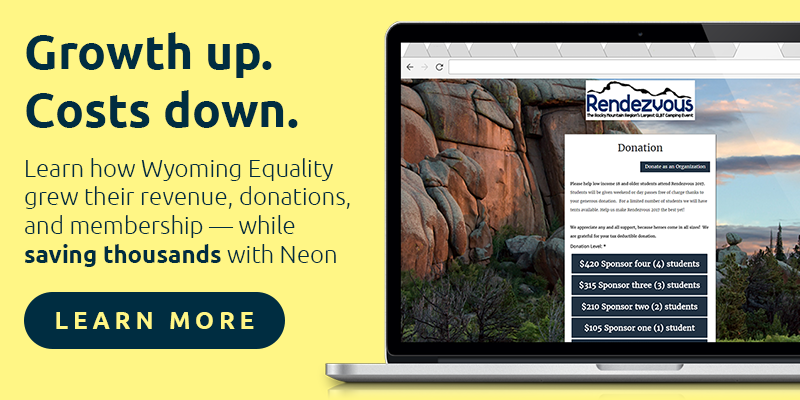 This has helped Wyoming Equality save thousands in admin costs every year since switching to Neon. 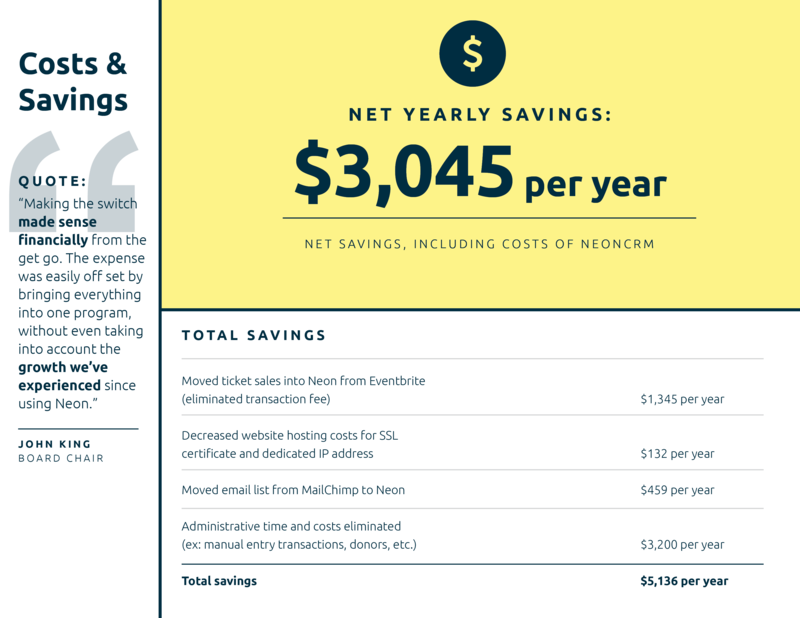 Because they’ve been able to save time while cutting costs, they’ve also seen some great results — including a 360% increase in memberships in just one year! Recurring donations have also increased 300%, and overall organization income has increased 87%. Great work! Right now, Wyoming Equality is prepping for Rendezvous: an LGBT camping weekend to celebrate Pride. If you’re in the area, you can buy tickets — or you can donate to support a low-income student’s ticket. You can also click here to make a general donation. Want to learn more about Wyoming Equality and the strategy behind their mission? Download the case study!